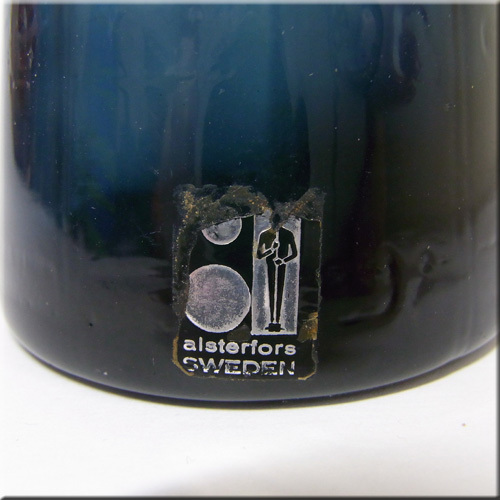 Alsterfors started off as an iron foundry, but began making glass in 1885, when the factory was bought by J. A. Gottwald Fogelberg, who was the manager of Kosta. 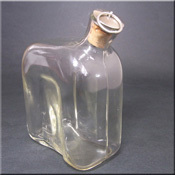 Alsterfors became part of the Association of Swedish Crystal Manufacturers in 1903. Since then it changed hands several times. Designers at the factory include Edvin Ollers, Ingrid Atterberg, Fabian Lundkvist, and of course Per Olof Strom. The factory closed in 1980. Alsterfors Swedish orange glass geometric vase with inner white casing, designed by Per-Olof Strom, signed to base. Alsterfors Swedish blue + green striped glass vase with inner white casing, designed by Per-Olof Strom, signed to base. 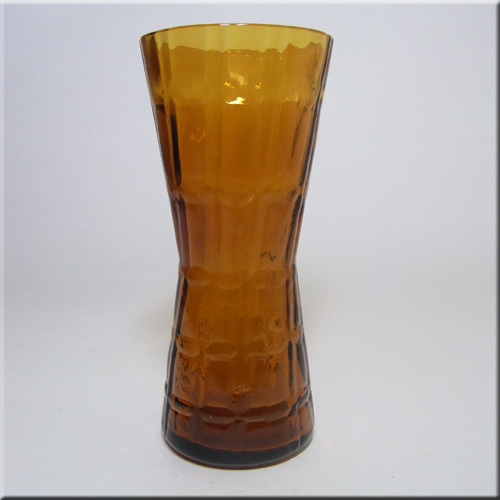 Alsterfors Swedish orange glass hooped vase with inner white casing, designed by Per-Olof Strom, pattern number S 5000. 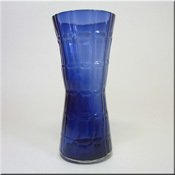 Alsterfors Swedish blue glass hooped vase with inner white casing, designed by Per-Olof Strom, pattern number S 5000. Alsterfors Swedish red glass hooped vase designed by Per-Olof Strom, pattern number S 5000. 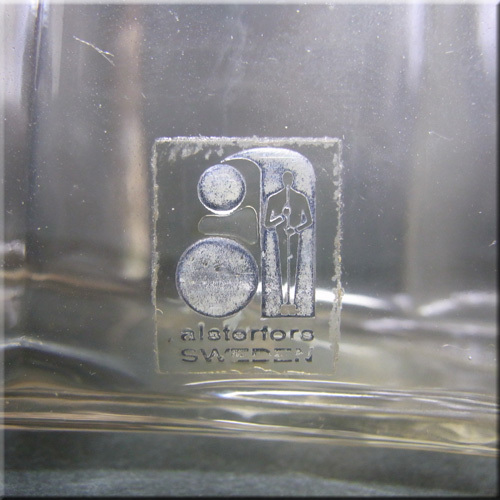 Alsterfors Swedish grey glass hooped vase with inner white casing, designed by Per-Olof Strom, pattern number S 5000. Alsterfors Swedish blue glass hooped vase with inner white casing, designed by Per-Olof Strom, pattern number S 5000, signed to base. 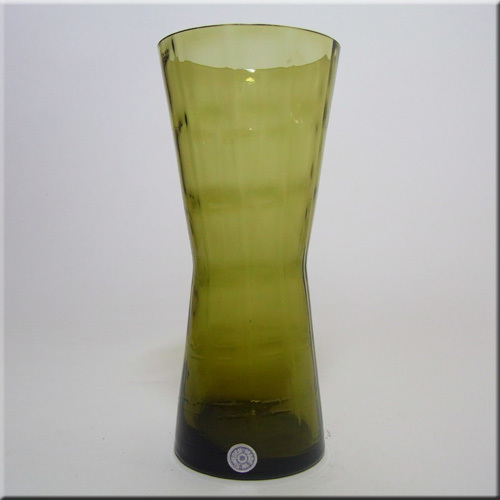 Alsterfors Swedish yellow glass hooped vase with inner white casing, designed by Per-Olof Strom, pattern number S 5014, signed to base. Alsterfors Swedish green glass hooped vase with inner white casing, designed by Per-Olof Strom, pattern number S 5014. Alsterfors Swedish blue glass hooped vase with inner white casing, designed by Per-Olof Strom, pattern number S 5014, signed to base. 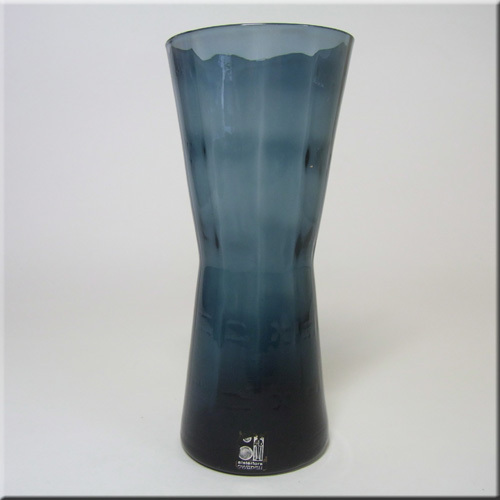 Alsterfors Swedish blue glass hooped vase with inner white casing, designed by Per-Olof Strom, pattern number S 5014. Alsterfors Swedish orange glass vase with inner white casing, signed by Per-Olof Strom + labelled. 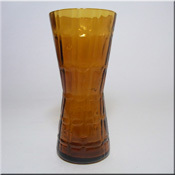 Alsterfors Swedish orange glass hooped vase with inner white casing, designed by Per-Olof Strom, pattern number S 5014. 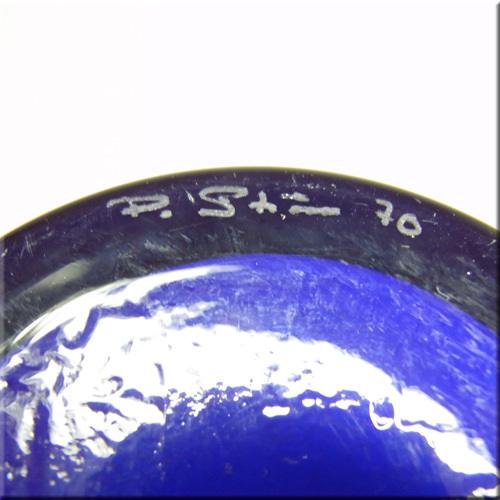 Alsterfors Swedish blue glass hooped vase with inner white casing, designed by Per-Olof Strom, signed to base. 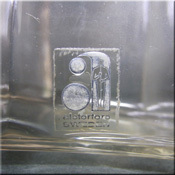 Alsterfors orange Swedish glass vase with inner white casing, labelled. 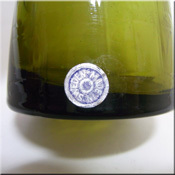 Alsterfors blue Swedish glass vase with inner white casing, labelled. 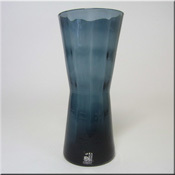 Alsterfors smokey blue Swedish glass vase. Alsterfors blue Swedish glass vase. Alsterfors Swedish red cased glass vase, labelled. Alsterfors Swedish red cased glass vase, labelled. Alsterfors Swedish orangey red cased glass vase. Alsterfors Swedish blue glass vase. Alsterfors patterned white + brown Swedish glass vase. 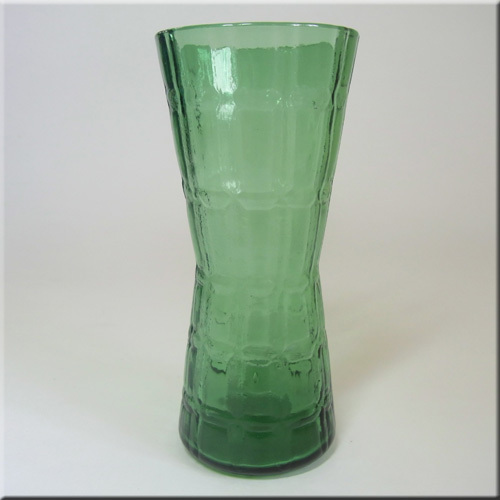 Alsterfors labelled green Swedish glass hooped vase with inner white casing, designed by Per-Olof Strom. 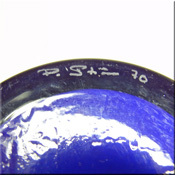 Alsterfors Swedish purple glass vase, labelled. Alsterfors blue Swedish glass vase with inner white casing. Ref: click here. Alsterfors orange Swedish glass vase with inner white casing. Ref: click here. Alsterfors Swedish white cased glass hooped vase, designed by Per-Olof Strom, pattern number S 5000. 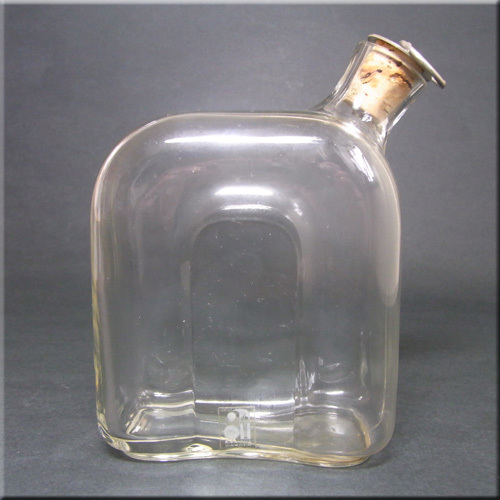 Alsterfors Swedish clear glass decanter, labelled. Alsterfors Swedish blue glass tumbler, labelled. Alsterfors Swedish blue glass textured vase, labelled. 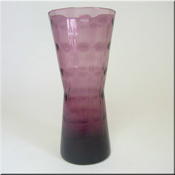 Alsterfors Swedish purple glass textured vase. Alsterfors Swedish green glass textured vase. 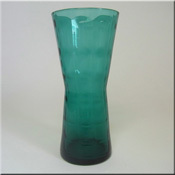 Alsterfors Swedish green glass textured vase. Alsterfors Swedish blue glass textured vase. Alsterfors Swedish amber glass textured vase. 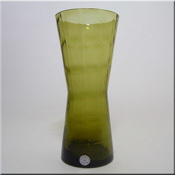 Alsterfors Swedish olive green glass textured vase with generic "Made in Sweden" label. Alsterfors Swedish red cased glass textured vase. 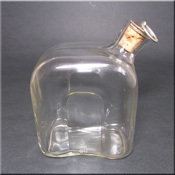 Alsterfors Swedish red vase in the style of a brandy glass, labelled. Alsterfors Swedish set of three blue glass stem vases. Hooped blue glass vase with inner white casing, probably by Alsterfors. 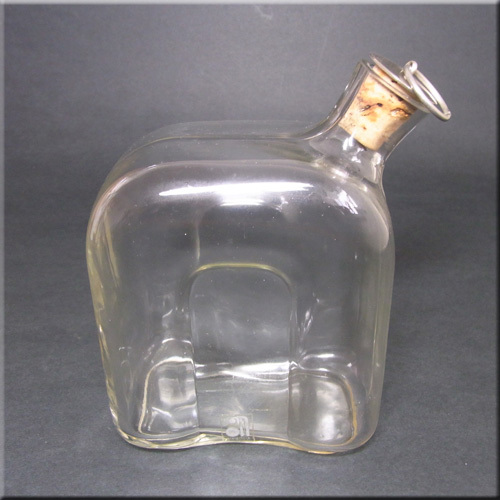 Hooped orange glass vase with inner white casing, probably by Alsterfors. 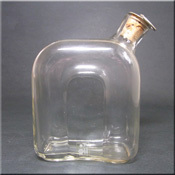 Orange glass vase with inner white casing, probably by Alsterfors.